The use of essential oils goes back as far as 6000 years when Egyptian physician, Imhotep, the then God of Medicine and Healing recommended fragrant oils for bathing and massaging. In 4,500 B.C. Egyptians used myrrh and cedar wood oils for a embalming their dead and 6,500 years later the preserved mummies prove the fact discovered by the modern researchers that the cedar wood contains natural fixative and strong antibacterial and antiseptic properties. From that time forward there has been numerous instances recorded on the use of essential oils in healing. Today, research has proved the valuable and multiple uses of essential oils. Medical research in the recent years has uncovered that the odors we smell have a significant impact on the way we feel. Smells act directly on the brain like a drug according to scientific research. For instance smelling lavender increases alpha wave frequency in the back of the head and this state is associated with relaxation. 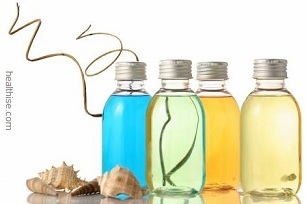 Additionally, essential oils have now become popular in skin care products for their valuable properties. Diffusers are generally made of ceramic or clay. The diffuser has a cave-like opening to house small candles are earthen oil lamps and the top is shaped like a curved cup to hold a little water and few drops of aroma oil. Fill the top cup with water, add a few drops of essential oils depending on the oil chosen then light the candle or the lamp. For the oil lamp to last for a long duration, add castor oil to the earthen lamp because castor oil burns for a very long time as compared to the other oils used to light a lamp. Once the water and oil heat up, evaporation takes place and the whole atmosphere is filled with the aromatic scent. Vaporization – Consider placing a few drops into a vaporizer to add a moist, subtle hint of fragrance to any room. You can also add a couple of drops to a pan of water to gently steam over the kitchen stove or radiator. 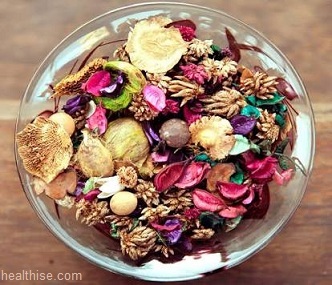 Potpourri as the name suggests is a mixture of dried flowers, herbs, and grass and seed pods. Add a few drops to the potpourri mixture and place in a closed container overnight. This allows the oils to absorb into the potpourri. The following morning open the box and the aroma will fill the room. A few drops of essential oil added to the potpourri and kept in a bowl would keep giving out aromatic fragrance for 4-6 weeks. Room Sprays – As we become more environment conscious, aerosols are being discouraged due to their ozone depleting properties. Essential oils are natural and hence they could be used liberally to deodorize a room, freshen and scent your bathroom, living-room, bedroom, dining-room, office cabin, etc. Merely add 10-12 drops of aroma oil to half a liter of water and spray the mixture with the help of a spray bottle. Oils like lavender, lemon, peppermint, pine and rosemary are best for this application. Essential oils in the home are the best air filtration system. They purify by removing metallic particles and toxins, increase atmospheric oxygen, increase ozone and negative ions which inhibit bacteria growth, destroys mold, cigarette and animal odors and finally they will fill the air with a fresh scent. On top of all of that, they are environmentally safe! Chamomile offers a fruity, apple like fragrance which eases anxiety, tension, anger and fear and promotes relaxation, gives patience, peace minimizes worry. Grapefruit is a sweet, sharp and refreshing scent which has an overall uplifting effect. It has a reputation for balancing manic depression. Jasmine is a sweet, flowery-exotic and slightly heady scent which is calming to the nerves and warms emotions. Produces positive feelings of confidence. Lavender fights depression, promotes sleep, lowers blood pressure and has an overall calming effect. 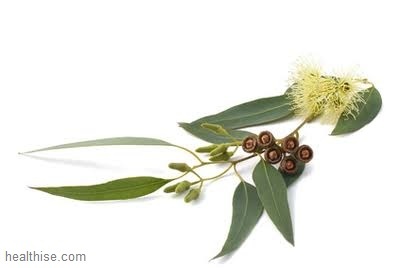 Eucalyptus a clear and sharp scent which has a cooling effect on the emotions. Known to clear the head, help with concentration and strengthens the nervous system. Please note that I have only listed the properties of these common essential oils and their effect on the mind, they also have therapeutic values to the body and to the skin. Spa treatments such as body wraps, facial steams and massages use essential oils for their therapeutic values and more and more skin care products are using wonderful essential oils such as jojoba oil, aloe Vera, neroli, and rose for example. Essential oils are potent and care should be used when working with them. However, understanding the properties and the benefits that essential oils can bring to your home is well worth the learning experience. I have all of the other ingredients, but I cant seem to find essential oils anywhere, and I dont have time to order online. Can I use some sort of perfume or maybe shower gel instead? What about an actual ingredient such as orange zest? Or vanilla extract? I need some other thing to use because the closest health food store that might sell them is at least an hour away. Thanks!